“I’ve visited her house,” I said. 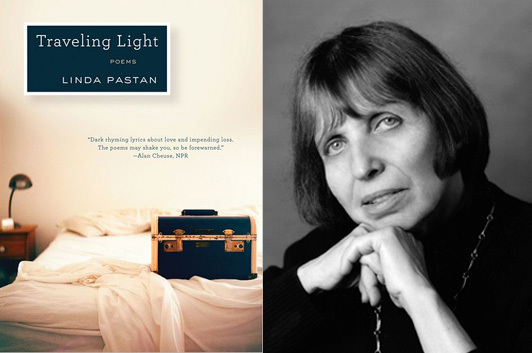 Traveling Light is the thirteenth collection of Linda Pastan’s poems. “Ash” appeared in The Atlantic, while “The Burglary” was published in The New Yorker. The New Republic published “Years After the Garden,” and The Paris Review published “Eve on Her Deathbed.” Nimrod published “Counting Backwards,” but it’s available online through the Poetry Foundation’s website, which also hosts “On the Steps of the Jefferson Memorial” (first published in Prairie Schooner). Plus, you can hear Pastan read “Acorns” at Slate. in the ch-ch-ch-waah of locusts. 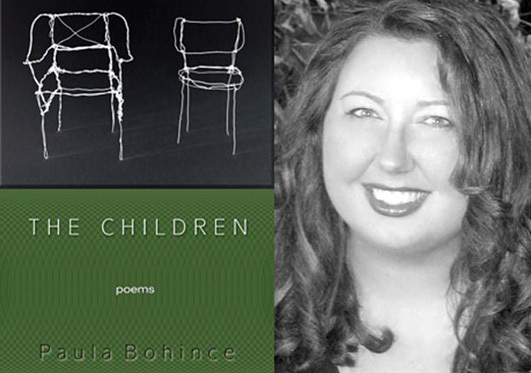 The Children is the second collection of Paula Bohince’s poems. “Milkweed” and “Lenox Aubade” appeared in Agni; “Mother’s Quail” was published in The New Yorker. “Gypsy Moths, or Beloved” appeared in Orion, and “Entering the Ouse” in Poetry. You can hear her reading “Clothesline” at Slate.